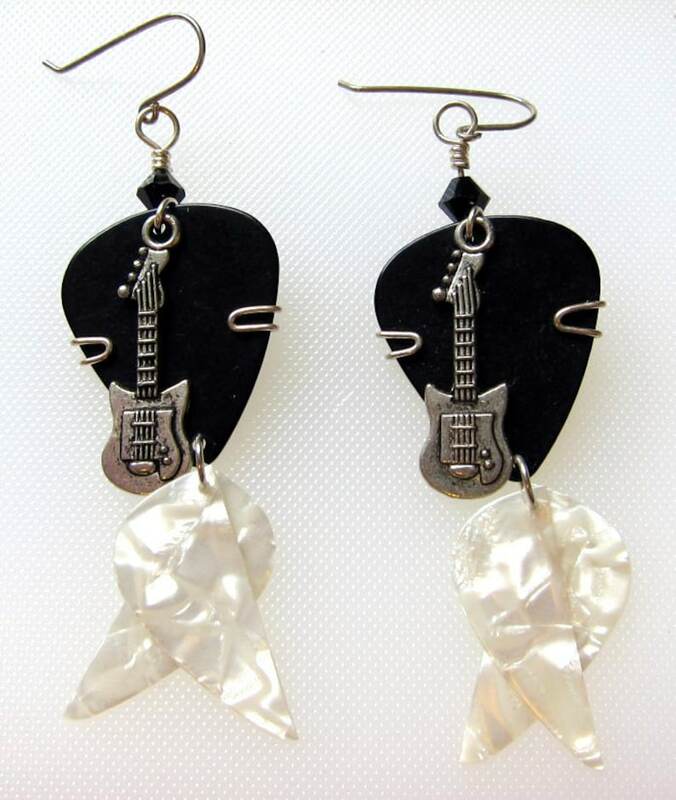 These black and white guitar pick earrings are great for any music lover. The top of the earrings are medium guage black guitar picks with a silver guitar charm. The bottom of the earrings are white pearloid guitar picks to dangle.